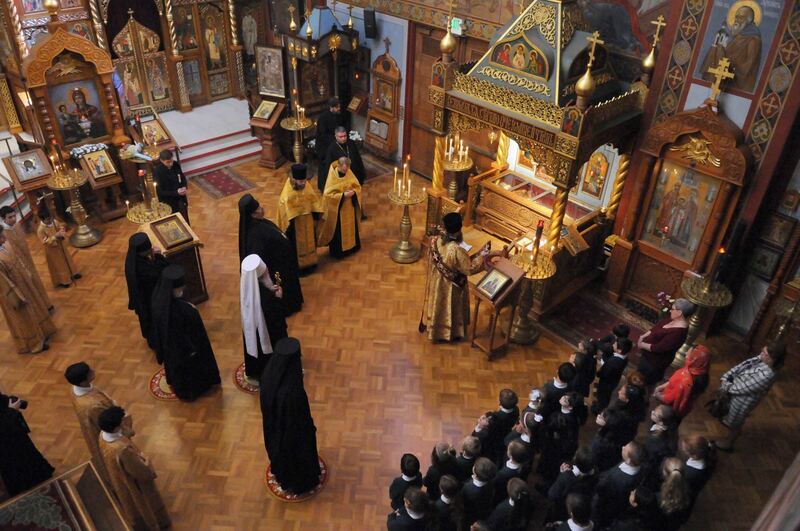 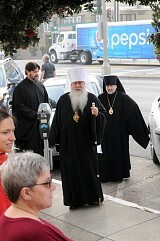 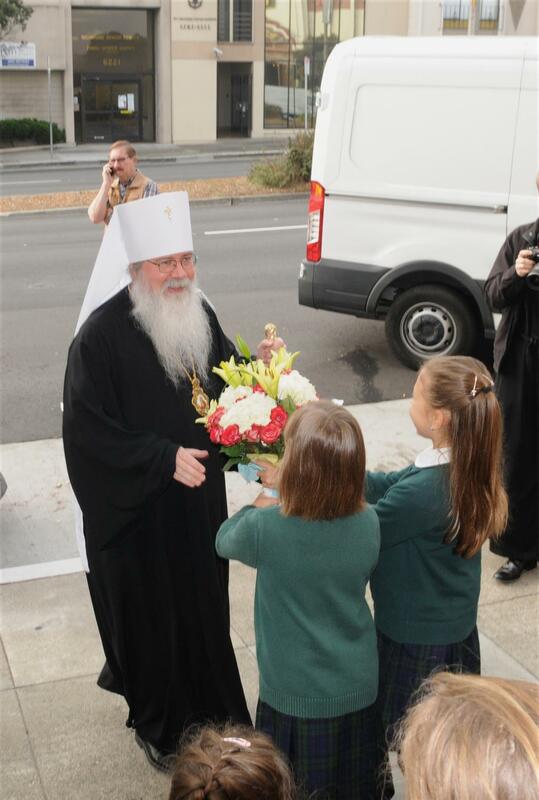 His Beatitude was greeted by Bishop Irenei of Richmond and Western Europe, and the clergy and pupils of Saint John of San Francisco Orthodox Academy. 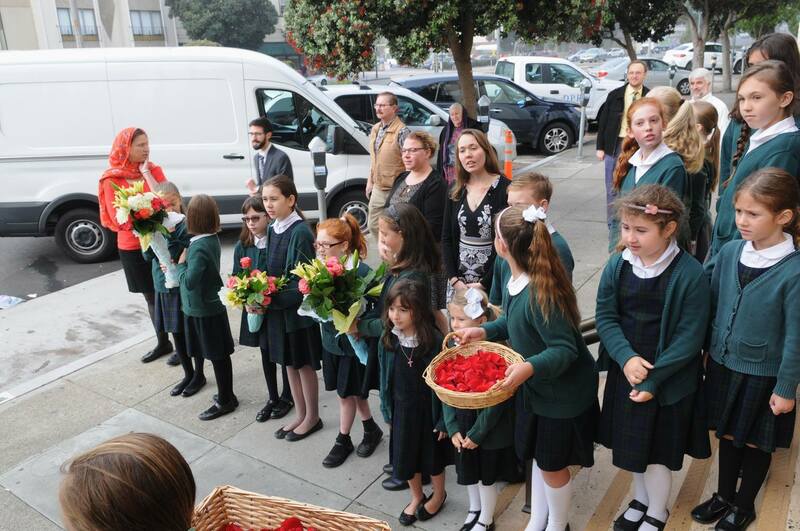 The children welcomed the honored guest with flowers and warm smiling faces. 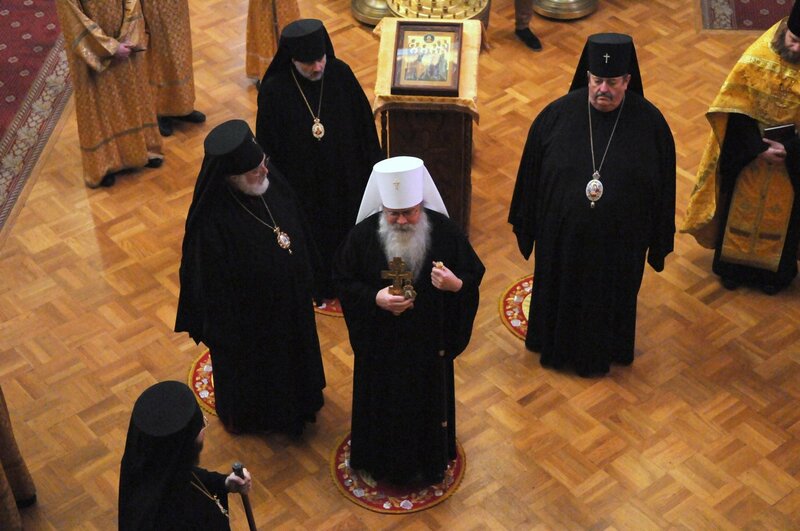 After all the bishops venerated the Holy Table a molebin was performed by Archpriest Philip Hollywell, Priest Sergei Kiryukhin, and Archdeacon Peter (Karakozoff). 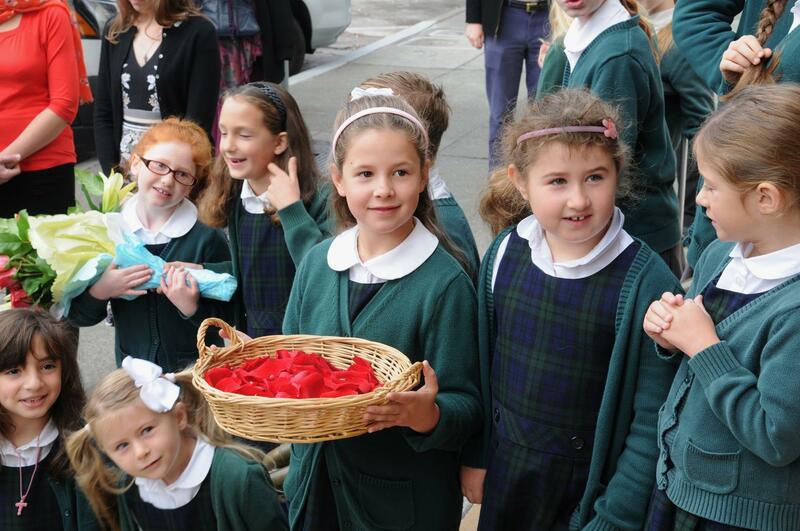 The responses were solemnly chanted the all the pupils of St. John’s Academy. 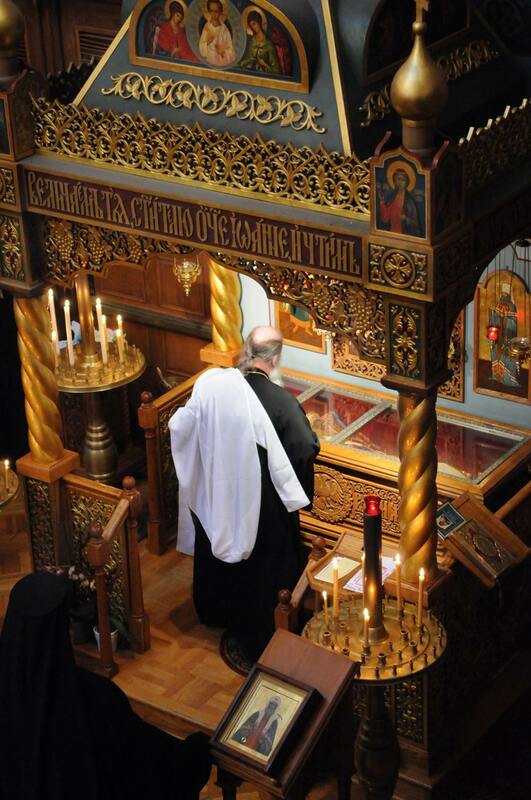 At the end of the molebin, His Grace Bishop Irenei, in welcoming the distinguished pilgrims, spoke of St. John of San Francisco’s significance; of his ability to inspire hierarchs and the faithful to serve God with their lives. 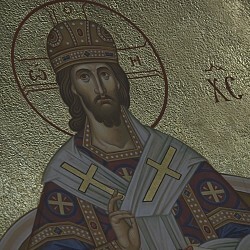 His Grace wished that everyone present would receive strength through St. John to persevere in his respective calling and to “finish the course” set before him (see II Timothy 4:7) by our Lord Jesus Christ, to the glory of God the Father.